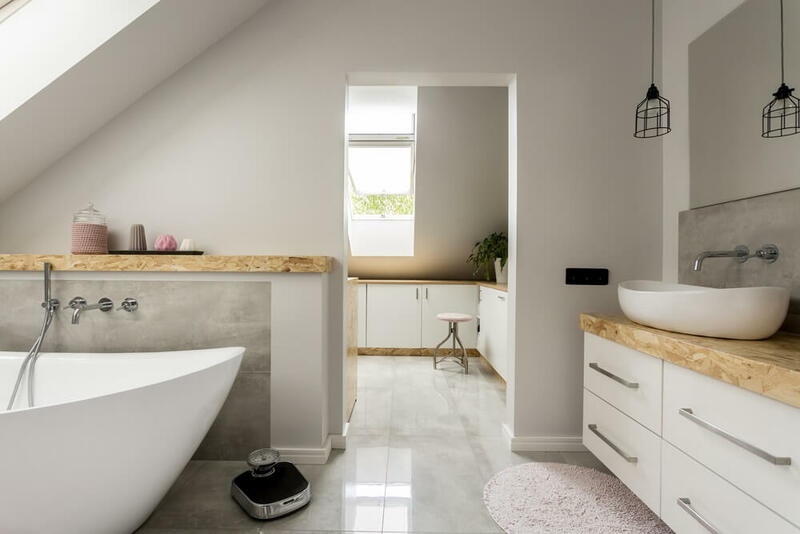 Want to upgrade your bathroom? Look at these! 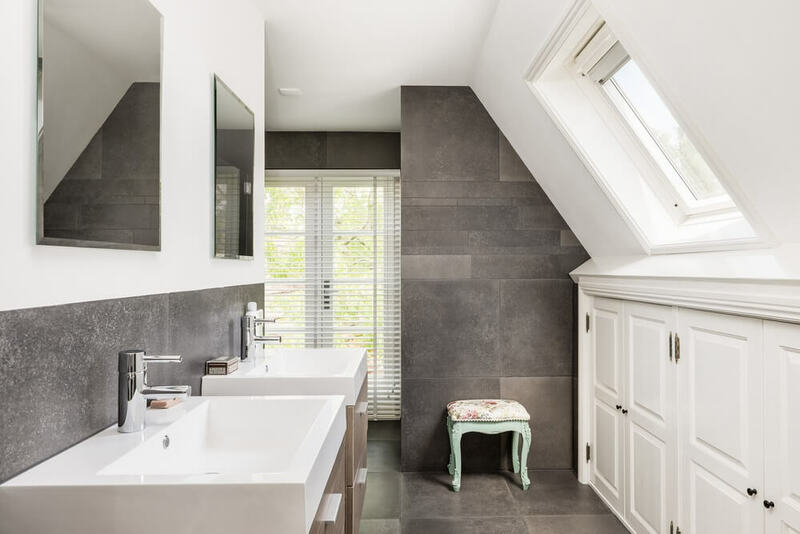 Placing a window is the first thing you want to do if you want more natural light in the bathroom. As you know, there are tons of window types and style, and each one offers varying levels of access to sunlight and privacy. There are traditional windows paired with window treatments such as blinds and rollers. Then, there are innovations called the switch glass and the white translucent glass. White translucent glass allows almost 68% of natural light to pass through and illuminate your space. It doesn’t make the user feel exposed at all! The switch glass, on the other hand, turns translucent from transparent (vice versa) with a flick of a switch. The mirror is a reflective surface. Use the right size and place it in the best possible position and you will get a well-lit bathroom. In this bathroom, the mirror is used to reflect the light coming in from the bathroom windows. The light rays bounce off the surface of the mirror, illuminating the room from a different direction. That’s how you maximise the natural light coming in your space. 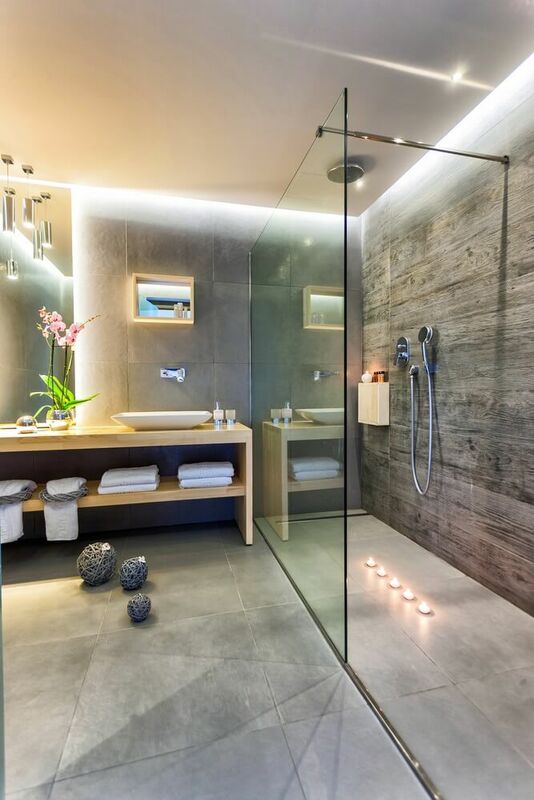 Consider using warm colours of light, especially when you aim to build a relaxing, spa-like bathroom. If possible, layer the warm and cold colours of lights. The white backlit mirror illuminates the bathroom counter, where brighter light is needed. 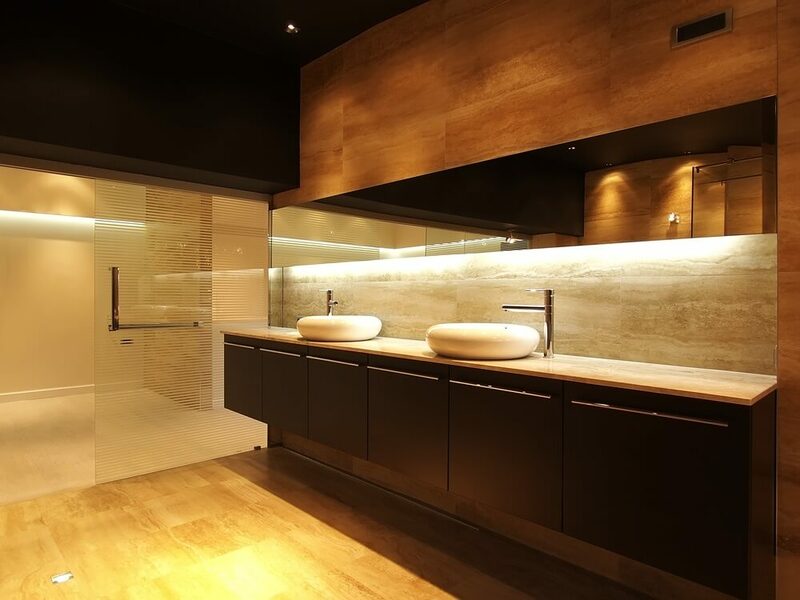 This is an intelligent lighting scheme and it is needed in bathrooms with no huge source of natural light. White is breezy and cool in nature. Having white (or any light-coloured) wall, floor, and fixtures will reverberate brightness and will make the room spacious. 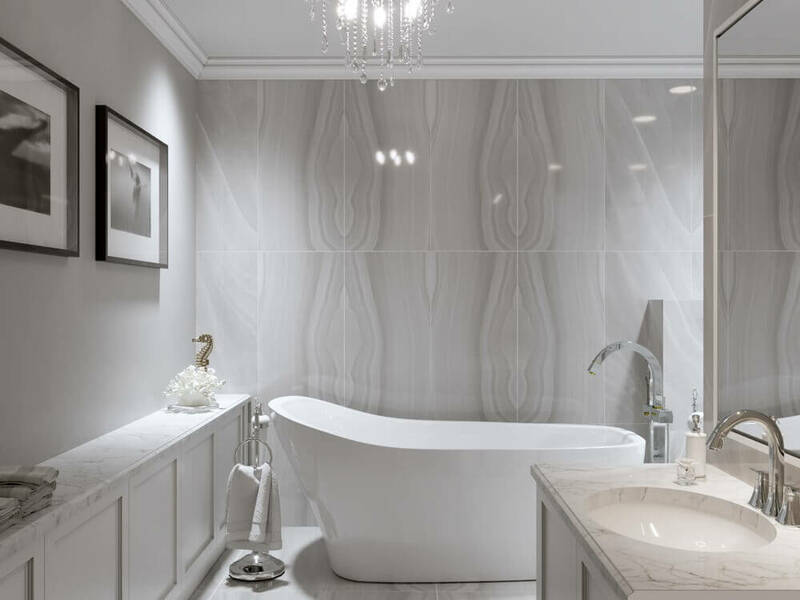 Tiles are one of the most important building materials used in the bathroom. Your choice of tiles will affect the look and feel of the place. We recommend using the ones with light patterns. It will help you achieve the clean and bright interiors that you aim for. Last year, we saw the increasing number of homeowners who want their own skylights. 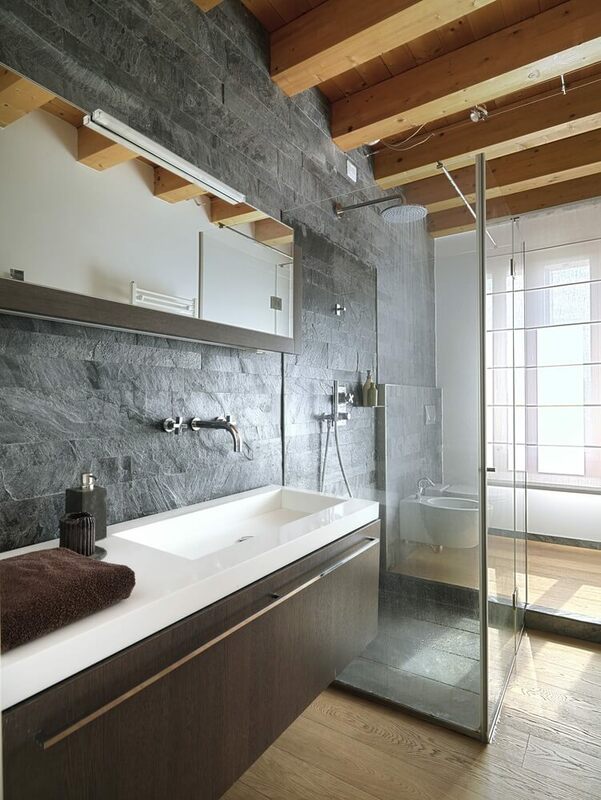 Aside from being a sustainable home feature, this special window makes a bathroom look luxurious. It’s a source of natural light in the morning and an ambience booster at night. We recommend that you ask the help of a designer before having skylights installed. There are various types available and each one has a specific use. An experienced designer can guide you on which ones will fit your current structure. Installing feature lights makes it easier to use the bathroom 24/7. It provides adequate lighting, especially in the powder and shower area. 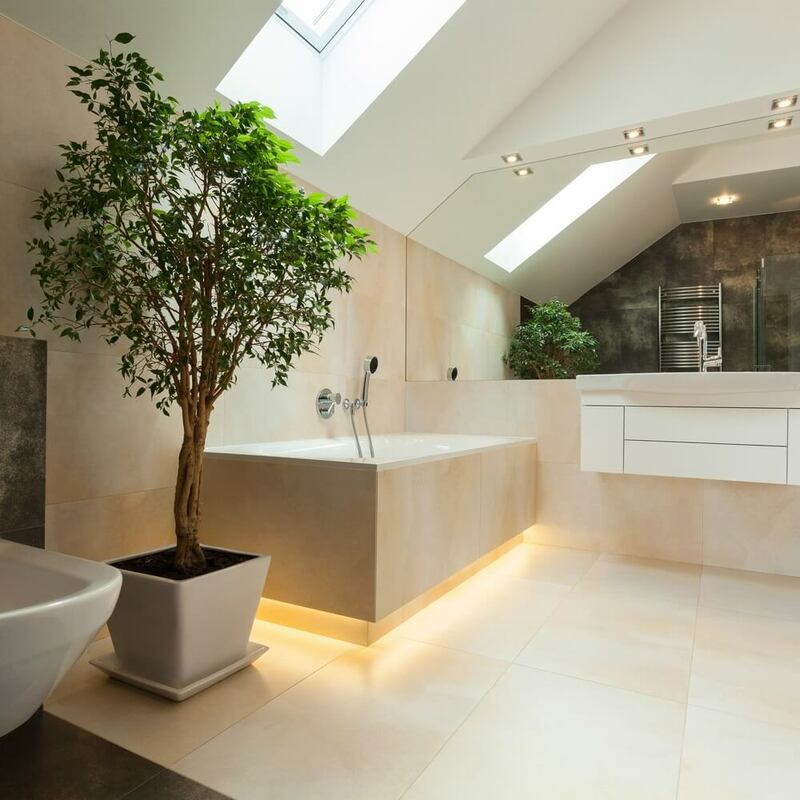 An experienced designer can help you position lights properly, illuminating the bathroom nicely. 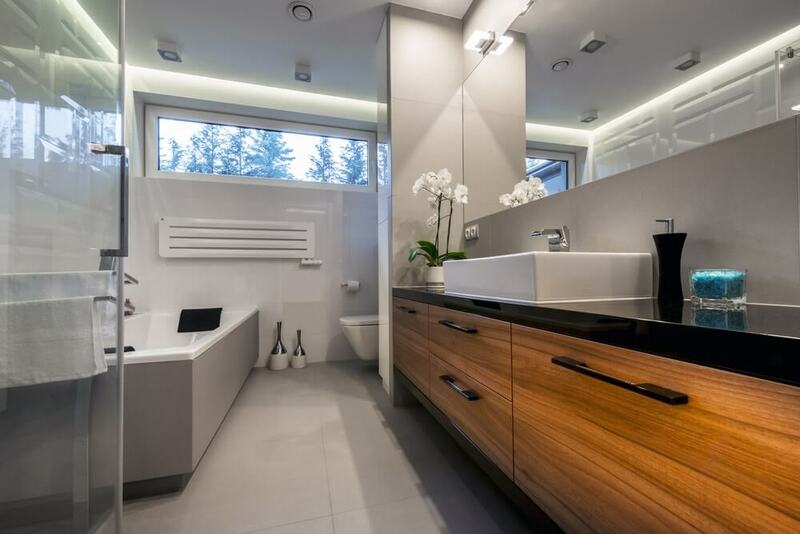 It is now possible to install sensors that detect movement in the bathroom. For instance, the sensors can light up the lights under the tub instantly, illuminating the floor in the middle of the night. This feature is highly useful to the elderly, in case they need to go to the bathroom during the wee hours of the day. How about removing the large walls and embracing the open floor plan? Feel free to connect your bathroom to your bedroom or to your walk-in wardrobe. 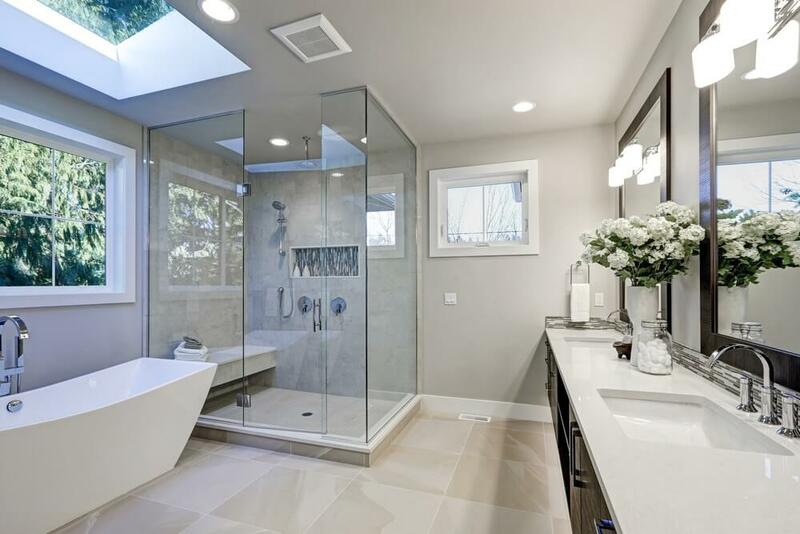 Go for open-air showers or the one with a single glass panel. This contemporary design move is a smart use of space. Without the walls that form a shower cube, there is nothing that blocks the light from brightening the space completely. Ready to renovate your bathroom to brighten it up? Let’s do it! Leave us a message and we’ll contact you.